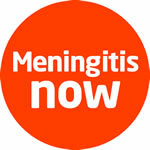 Dr Rob is an ambassador for Meningitis Now charity. The charity’s vision is a future where no one in the UK loses their life to meningitis and everyone affected gets the support they need to rebuild their lives. Dr Rob is a patron of Shine charity. Shine is a community of 75,000 individuals, families, friends, and professionals, sharing achievements, challenges and information on living with hydrocephalus, and/or spina bifida, and related issues.